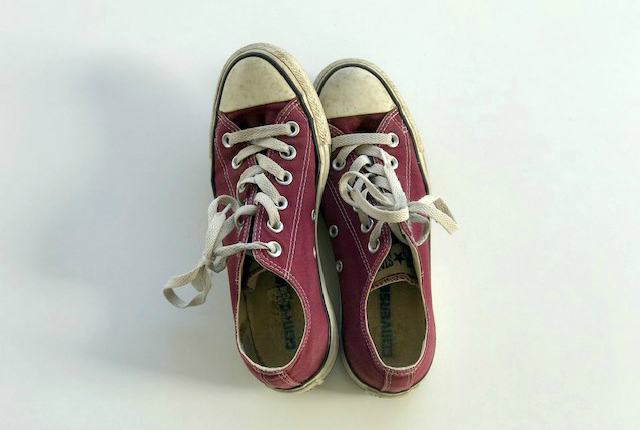 Even though Converse shoes look their best a little worn-in, they can get awfully dirty. 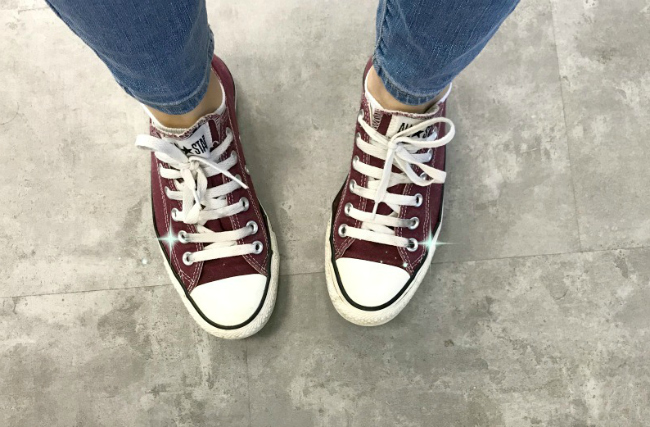 Just between us – there is a limit for the dirt you could wear, so What would you do when your Chucks looks too “loved”? A little cleaning will take a two day break, but will bring the spark right back. Take the laces off the shoes. We will get to them later. Mix together a solution of equal parts of mild liquid laundry soap, baking soda and water. 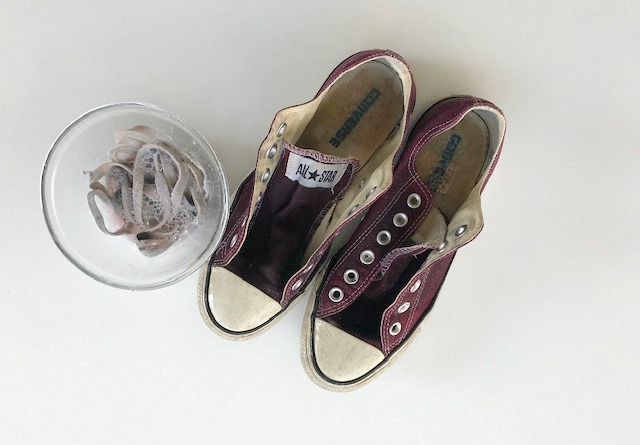 Do not use any type of bleach product to clean your Chuck Taylors, because it can turn the white rubber parts yellow and may harm the fabric. Dip an old toothbrush into the mixture, and gently rub all parts of the shoes. Dip the laces into the mixture and let it sit for 5 minutes. To complete the process, put the shoes and the laces in the washing machine. This may fade some of the color from the shoes, especially darker colors or extremely bright hues. Make sure you use the short program with cold water only, and about 1/3 cup mild detergent. If you do not trust the washing machine, wash the All-Stars shoes in the old school way, by hand. Set the shoes in a warm dry place indoors or outdoors, away from extreme heat until they have fully dried. The drying process can take one to two days. Avoid using the dryer, because there are chances of shrinking, and losing the shine of the shoes in no time.